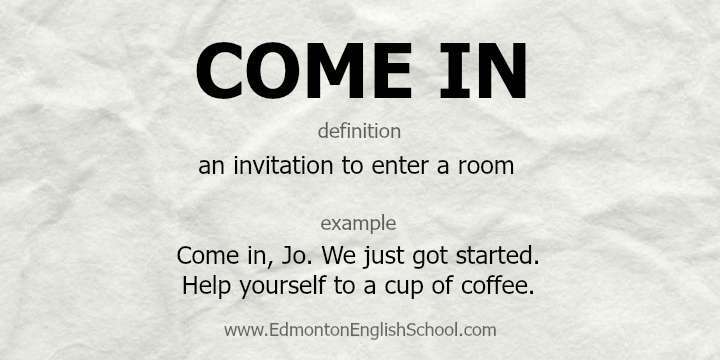 What is the Meaning of COME IN? My family comes in tonight. I can hardly wait! Josh will come in at the beginning of Phase 2. My dad agreed to come in on the project. Our wedding money came in handy on our honeymoon.